Tired of busting a gut at the gym only to see your waistline swell and your muscle mass decrease!? Despite your best efforts, it’s possible that you’re not getting the most out of your workouts. 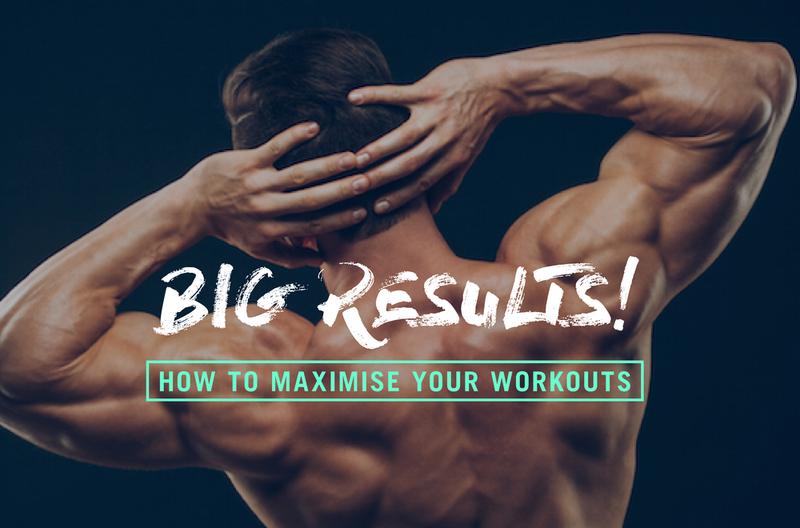 Here's how to maximise your workouts and increase your chances of success! Limit your workouts to 60 minutes. With increasingly busy schedules, the last thing you want or need is to commit to long and tedious workouts. Thankfully you don't have to! Time doesn’t necessarily equal results when it comes to exercise and a lengthy workout is often less effective than a shorter one. So how do you fit all of the exercises from a 90-minute workout into 60 minutes or less? 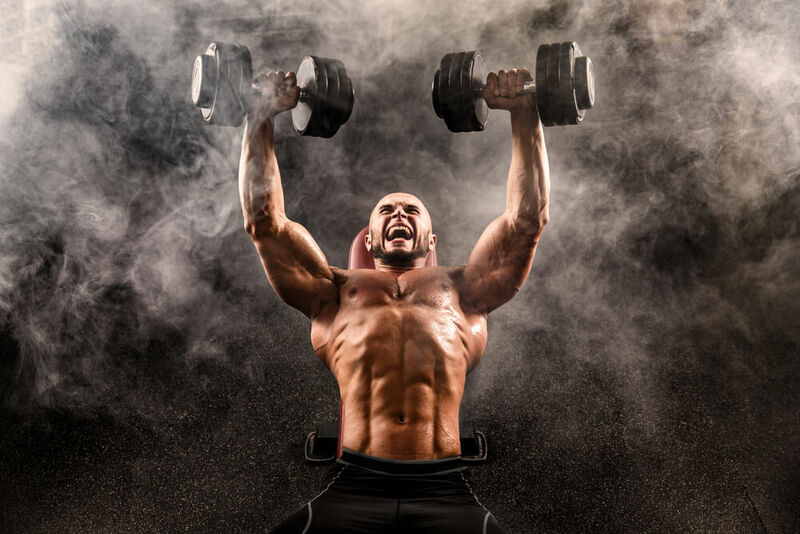 When weight training, instead of the conventional 4-5 sets of 8-12 reps with 90 seconds rest between sets, get proactive with timesaving supersets, giant sets, drop sets, circuit training and high-intensity interval training. Leave your phone at home or at the very least in the car or changing room. Sounds simple, but with social media apps literally bursting the seams of our cell phones, it’s far too easy to get distracted and lose not only energy and time but your concentration and commitment to a workout. Compound exercises: If you’re looking for better results in less time, use compound exercises. While isolation exercises can be used towards the end of your workout, they should by no means be the focus. Think squats, deadlifts, lunges, hip thrusts, pull-ups, bench press, push ups, dips and plank variations. On your feet soldier!! While exercises performed sitting or lying are useful and often necessary, when given the option to choose between the standing or seated variation, always opt for standing. By performing exercises from a standing position, you call into action your core to stabilise the movement. While this won't necessarily save you time in the gym, it will recruit more muscles which ultimately equates to better results. Your body adapts to change, not monotony. If you’ve been sticking to the same workout for 3 months or more, it’s time to mix things up! Now, mixing things up doesn’t mean you have to do yoga instead of weight training or running instead of Crossfit. It means you should experiment with different muscle group workouts, rep ranges, rest times, exercise variations etc. By challenging your body to something new on a regular basis, you'll keep it guessing which will produce long-term gains. We’ve all had a workout or two here and there where our limbs feel like lead and simple exercises which would otherwise be easy are damn near impossible. While you may feel impatient and inclined to workout 7 days a week, it’s so important to allow your body the time it needs to rest and recover between workouts. Failure to allow your muscles and energy levels to fully restore can result in unfavourable results. While it’s ok to exercise with sore muscles from time to time, doing so consistently can lead to a burnout and in the worst case scenario, injury – neither of which will get you the results you desire. Fuel up before a workout. While it can be beneficial for weight loss to exercise on an empty stomach If your goals are anything but it’s crucial to eat in the hours leading up to a workout to provide sufficient energy and prevent muscle breakdown during tough workouts. Try to consume a 2:1 ratio of slow digesting carbs and protein 60-90 minutes prior to a workout. Known as the magic hour, what you eat in the 60 minutes following a tough workout is probably the most important meal of the day when it comes to results. During a grueling workout, your muscles get torn and energy levels become depleted. By providing your body with proper post-workout nutrition you can speed up the muscle recovery process, decrease muscle soreness, improve immune function, restore depleted energy and increase your body’s ability to utilise fat in the hours and even days following a workout. Consume a 2:1 ratio of fast digesting carbs and protein in the form of a shake immediately after a workout and then eat a balanced meal within 60-90 minutes of your workout. If you're unsure of what to eat on a daily basis, as a professional to create a goal specific diet plan for you to follow. Hydrate, Hydrate and hydrate again. I think I mention the importance of hydration in just about every article I write, and here I go again. If you are dehydrated by as little as 2%, you drastically restrict your bodies ability to perform at an optimal level. Less than optimal workouts equal less than optimal results. Try to avoid alcohol in the 24 hours prior to exercise and consume at least 2 litres of water, not liquid per day. The easiest way to make sure you’re getting your daily dose of H20 is to fill a 2-litre bottle with water at the start of the day and not allow yourself to sleep until it’s empty. Leave your ego at the door. There is no shame whatsoever in taking your time to learn correct form before progressing to heavier weights. Correct technique is so important for progression and will drastically reduce your risk of injury. If you're unsure of how to perform an exercise, don't be afraid to ask a personal trainer or a more experienced exerciser to show you the ropes. Trust me, you'll be glad to did!